Despite South Africans’ roller-coaster sentiment during 2016, they have continued to spend, highlighting a clear disconnect between the South African psyche and actual purchase behaviour. This means that in 2017 more than ever a multi-dimensional approach will be required if retailers are to obtain a firm handle on South Africa’s new retail reality. To assist with this, Nielsen’s Ailsa Wingfield outlines the key retail dynamics that will be in play. The current changeable situation in South Africa has led to a schizophrenic mindset among many South Africans, resulting in a clear divergence between sentiment and sales. Expect this trend to continue as South African consumers continue to grapple with South Africa’s ‘new normal’, which is that nothing is normal anymore! Local shoppers have a heightened appetite for promotions and special offers in light of more prevalent occasion-based promotional activity (e.g. Black Friday and new mall openings), and they’re willing to go the extra mile to get the bigger deal. Since retailers and manufacturers have a shared reliance on promotions, knowing which categories are more or less sensitive to pricing changes will be essential for breaking the current promotion addiction, and driving sustainable future growth. 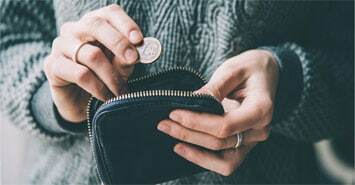 In the current economic climate, the shopper is constantly challenged to trade-off between available budget and what they need or want on a monthly basis to provide for themselves and their families. Their assessment of essentials vs ‘nice to haves’ is increasingly critical as it drives their decisions to limit or exclude certain products from their basket to meet their tighter budgets. Expect to see shifts between premium, mainstream and economy brands as consumers are forced to consider price, quality and quantity variables. The days of in-house retail brands being treated with a fair amount of disdain by South African consumers have come to an end, with R38.4bn of consumer spend at hypermarket/supermarket tills or R10 out of every R50 spent on private label products. In addition to growth outstripping branded products, nearly two thirds of South Africans now feel that the quality of these products are ‘as good as that of established name brands’. In 2017, consumers are further likely to shift between branded products and retailer private label offerings if these are perceived as viable value alternatives of similar or better quality. There’s no doubt that shoppers are more discerning about what they need and how they shop. However, quality remains significant and brands that continue to delight their customers will reap the benefit of being chosen, thus the value proposition will always remain more than just the actual price. Proof of this is that many premium priced brand leaders continue to outperform cheaper alternatives, including staple consumer packaged goods. As lifestyle and consumption habits change, there is a structural shift with local brands and smaller niche store formats showing growth. Small stores are adapting to meet the growing consumer need for a higher level of specialisation and service delivery since agility, authenticity, personal service and individualism are synonymous with these store formats. Millennials (born between 1981 and 1995) who make up 24% of today’s global population, are distinct in many ways. Growing up with the internet, social media and mobile as the norm, they have different expectations, attitudes and behaviours than their older counterparts. From understanding them, to engaging with them, to influencing their purchase outcomes, millennials require a differentiated approach to capture this critical retail force of the future. Grocery e-commerce is still relatively small in South Africa, however, shoppers, especially the more affluent and digitally enabled recognise the deal-seeking and convenience aspects. To master a truly seamless omni-channel experience, retailers will need to overcome the main barriers of quality/accuracy, in-person experience and fulfilment to drive scale and growth. They’ll also need to be shopper-centric, prioritise personalisation and invest in mobile-based solutions to support their activities, which incorporate digital into the in-store environment. Overall, those retailers wanting to adapt to shifting needs can start by looking at the demographic, socio-economic and behavioural trends shaping South African consumer preferences. The shop of the future should reflect the shopper of the future, and this means retailers need to assess how well they’re doing now, what their consumers think about their shopping experience, and how well they think their needs are currently being met. These will have major implications for retailers in the future in terms of physical and virtual footprint, differentiated offerings, omni-channel strategies and overall experience. Ailsa Wingfield currently serves as head of thought leadership across Nielsen’s global emerging markets, with responsibility for helping companies ‘future-proof’ their businesses through strategic foresight, knowledge creation and thought leadership curatorship. Ailsa has extensive experience in Africa working with global and local brands in multiple countries across the consumer goods and telecommunications industry.